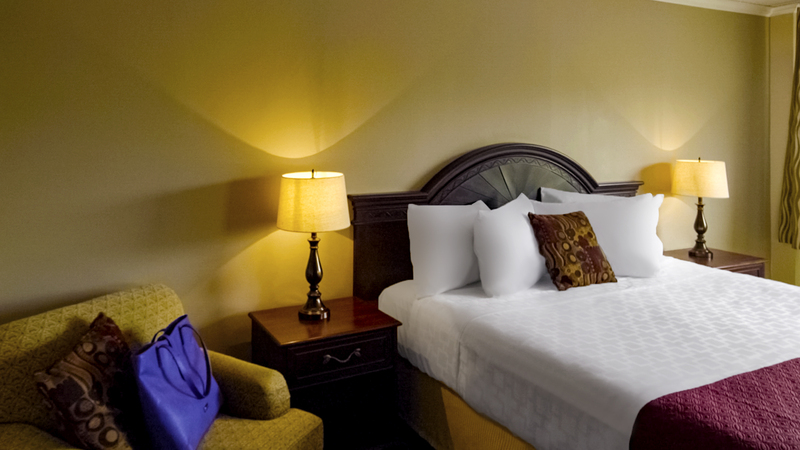 The uniquely designed double queen rooms at the Hearthstone Inn Boutique Hotel Halifax - Dartmouth are spacious and well designed. They are bright and airy thanks to the high ceilings and large windows. Their design incorporates unique decor and artwork. The floors are a well designed hardwood laminate with some accent ceramic tile for style and comfort. Each bathroom is unique with special vanities and shower accessories to capture a more homey feel. The room also includes Villa Elite luxurious amenities. 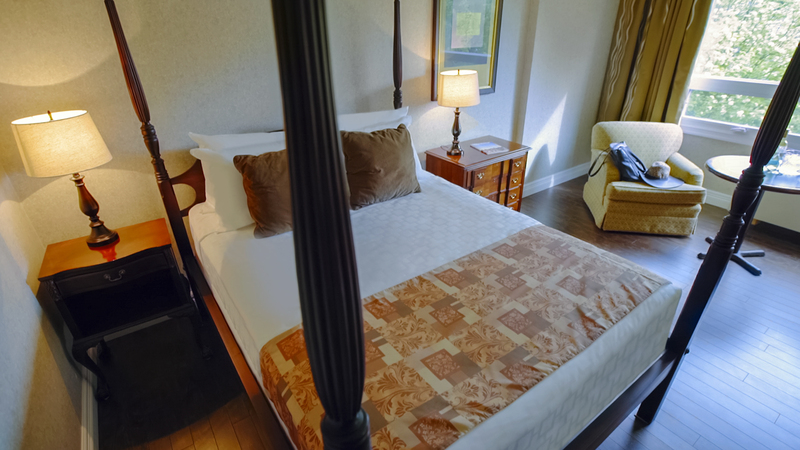 The luxuriously designed four poster rooms at the Hearthstone Inn Boutique Hotel Halifax - Dartmouth were specifically designed and created for guests who want something special. They are very spacious and elegant with high ceilings and large windows. They were designed to complement the Victorian feel of this boutique style hotel. The floors are a well designed hardwood laminate with some accent ceramic tile for style and comfort. Everything provides a more luxurious feel from the decor and bedding to the artwork and special bathroom touches. The room also includes Villa Elite luxurious amenities. The uniquely designed king rooms at the Hearthstone Inn Boutique Hotel Halifax - Dartmouth are very spacious and well designed. They are large and bright with high ceilings and large windows. Enjoy double sheeted beds and unique artwork. The floors are a well designed hardwood laminate with some accent ceramic tile for style and comfort. Each bathroom is unique with special vanities and shower accessories to capture a more homey feel. Some rooms include a toaster oven and dishes for your convenience. The room also includes Villa Elite luxurious amenities. The Studio Kitchenette Suite rooms were designed for guests staying more than one or two nights. This open concept suite includes a kitchen with counter and stools for eating. The cupboards are stocked with dishes and cutlery. The room is very spacious with high ceilings and large windows. The design and artwork were chosen to make guests feel at home for a longer term stay. The floors are a well designed hardwood laminate with accent ceramic tile as you enter the room and in the kitchen area. The room also includes Villa Elite luxurious amenities. 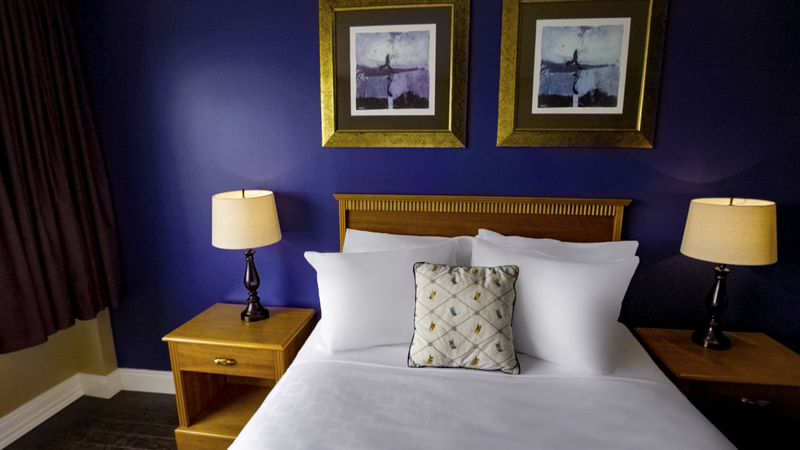 The uniquely designed single queen rooms at the Hearthstone Inn Boutique Hotel Halifax - Dartmouth are comfortably designed. They are bright and fresh with high ceilings and large windows. Their design includes distinctive decor. The floors are a well designed hardwood laminate with some accent ceramic tile for style and comfort. Each bathroom is unique with special vanities and shower accessories to capture a more homey feel. Some rooms have an extra counter/vanity area outside of the bathroom. The room also includes Villa Elite luxurious amenities.